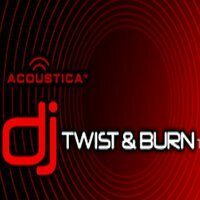 Acoustica DJ Twist N Burn lets you warp, bend and mix your music. With this intuitive DJ mixing software, you can create beatmatched mix CDs and MP3 files! Acoustica DJ Twist N Burn allows you to set the tempo or beats per minute (BPM) of each song without changing the pitch! Edit and trim the latest singles and remix them with oldies-but-goodies for occasions such as weddings, raves and dance recitals. Acoustica DJ Twist N Burn could also be used to create your ultimate work out CD for spinning, aerobics, running or biking. In addition to automatically detecting the exact tempo and key of the song, it will also create unbelievable beat synched fades from song to song. And, if you are in to Karaoke, just click the automatic vocal remover feature! Professional DJs will feel like they are cheating! If you love to mix music, take our software for a serious spin. You can apply effects to each song, including reverb, echo/delay, flanger, EQ, Chorus and others, including an amazing vocal remover. You can set the volume of each track or let the software automatically peak a volume so that each song has the same loudness level. (No more reaching for the volume knob!) Apply Boost to tracks to give those old tracks some beefed up dynamic range. 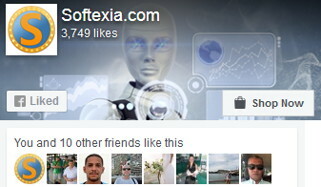 You can set the fades and overlaps in detail. Trim out extra applause or extraneous ‘non-song’ audio. Set amazing filter and beat-synced panning cross fades! Specify the exact tempo and key. If you want to practice playing or singing along with the song, you can slow it down AND change the pitch without making it sound like that stereo-typical chipmunk. You don’t have to beat mix, though. Acoustica DJ Twist N Burn allows you to create regular audio CDs or MP3 CDs, as well. When you first start the program, the software asks you what type of project you’d like to create. You don’t have to burn a CD. Acoustica DJ Twist N Burn lets you render your mix to MP3, WMA, OGG or WAV file so that you can put it on your portable MP3 player or iPod…or load it up on to the Internet! Each song can have multiple effects, including external 3rd party VST & DirectX effects! Choose from the built in Chorus, Compressor, Delay, Distortion, EQ, Flanger, Reverb and Vocal Remover. Automatic tempo and beat matching! This DJ software analyzes and adjusts the speed of each song so that it blends perfectly with adjacent songs! Automatic harmonic mixing! The DJ program analyzes each song’s key and then adjusts the pitch to match the previous song’s key. Try the “One Click EZ Beat Matcher!” – Beatmatching never was easier. Integrated vocal remover! Just click on “Vocal remover” and play, mix down or burn! Slow down or speed up songs! Change any song’s key!